1. An average user on Facebook has 130 friends. 2. Globally, 654 million people now access the site every day on their smartphone or tablet. 3. 829 million daily active users were recorded on an average in June 2014. 4. More than 70 translations are available on the site. 5. The biggest market for Facebook is the United States, with 146.8 million users in late 2013, according to the research firm eMarketer. Next was India (84.9 million), Brazil (61.2 million) and Indonesia (60.5 million). 6. Facebook accounted for a 5.7 percent share of all global digital ad revenues last year and 18.44 percent of worldwide mobile ad spending, according to eMarketer. 7. Facebook had 7,185 employees as of December. The company has offices in 13 locations across the US and 24 international offices. 8. Facebook reported its profit for the full year 2013 jumped to $1.5 billion from just $53 million in 2012, and revenues increased to $7.87 billion from $5.1 billion. Most of the revenue is from online advertising. 9. 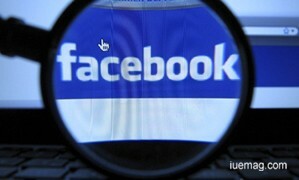 Facebook set the final price of shares in its landmark flotation at $38 (£24) back in May 2012. The stock now changes hands at $72.91. 10. Entrepreneurs and developers from more than 190 countries build with Facebook Platform. Any facts, figures or references stated here are made by the author & don't reflect the endorsement of iU at all times unless otherwise drafted by official staff at iU. This article was first published here on 14th February 2015.